Energy companies need multiple tools for managing, maintaining and planning their resources. Our GIS vertical solution for energy sector easily integrates into your existing workflow and into your current IT solution - so your specialists can focus on their jobs and work more efficiently. Our strength - offering full cycle service to energy companies, comes from the excellence in software development that is combined with the innovative data inputs and usage of Big Data. 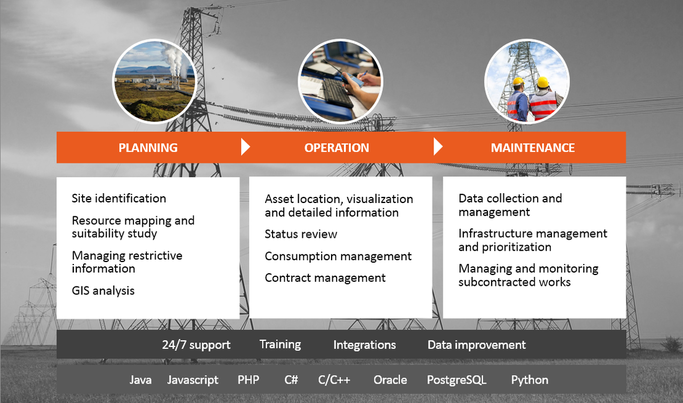 We focus on data handling processes, quality and validation and visualize this into meaningful and easy-to-understand solution that opens up totally new possibilities for planning, operating and maintaining infrastructure in the energy sector. ​We provide tools to cover the full cycle, from data gathering to managing and decision making in complex GIS environments. Using satellite data to monitor the effects of forces of nature over vast areas or using your own maintenance work process as an input to get crucial information of your infrastructure and use this for further analysis are only some examples. There are certain parts in the planning process where using GIS tools and best practices is unavoidable. To meet the growing demand for faster and more accurate information, Reach-U provides infrastructure planning solutions that rely on remote sensing solutions with combination of national level registry data and population data from anonymous mobile positioning. 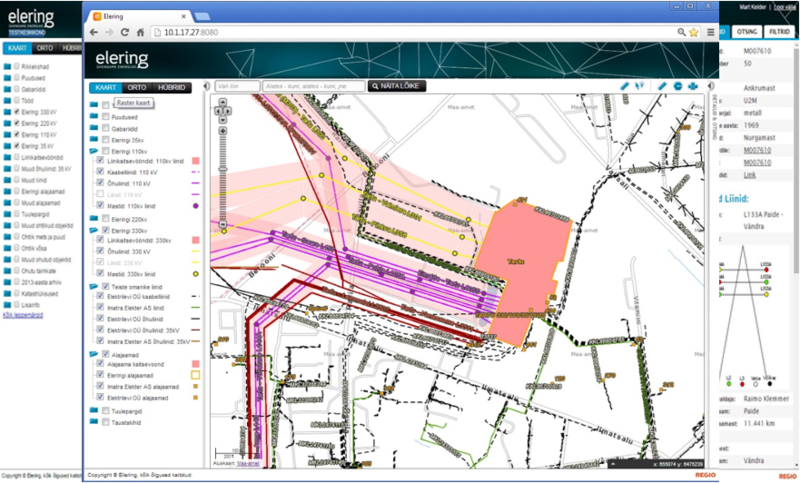 By combining this environment and resource mapping dataset, legislative restrictions and information about land and infrastructure ownership, we can provide software solutions from browser-based web applications to complex corporate level GIS input. There is no need to worry about inputs, data formats and how to align it all together - we help you find a solution that is the best fit for your company to make infrastructure planning and decision making as easy as possible. The key to successful operation is the right use of data at the right time. We help solving the problem of having too many data inputs and overlapping information when the actual decision making is on a very simple level. This is achieved by using a combination of different data layers and visualization in a way that only the required and relevant part is shown. Another crucial thing is to focus on data quality. With our automatic compliance checks, comparisons of control points and other reference data we guarantee that the risk of misleading information is minimal for decision makers (who obviously have no time to evaluate all the inputs and data sources). The main focus of infrastructure maintenance processes is to provide the best quality and secure service while reducing maintenance costs. Reach-U offers a three step solution to achieve both: the quality and readiness in case of unexpected events and reduction of costs. As the first step, we provide inputs for infrastructure monitoring - 24/7 reference data and weekly environment maps (from Copernicus radar data) of powerlines. The second step is providing data collection and management tools for mobile fieldwork systems so that the data collected on-site reaches company databases with no time delays. By combining LIDAR and satellite data it is possible to generate a dataset that can be used for management and data gathering without leaving the office. As the third step, our fleet and workforce management solutions help to plan and operate on-site works and save time and efforts by using reference data to plan and execute tasks.